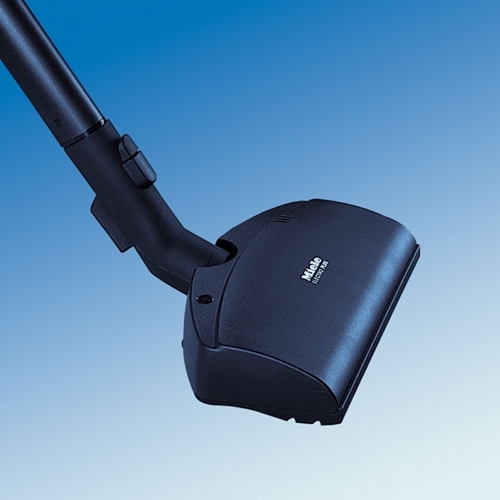 Equip your Miele Direct cleaner with the Mid-size power brush. Full 10. 5" wide cleaning path. This direct-connect Power Brush makes attaching and removal easy, no cords to mess with. Auto Shut-off in case of jambs. Easily docs on either side, or the back of your S5 Miele Canister. Ideal for low to medium pile carpet care. This electrically-driven carpet tool with a 10½"-wide brush roll with floating head and swivel neck design is ideal for low-pile and medium-pile carpet care. Recommended for: Deep cleaning and restoring of crushed carpet nap on low- to medium-pile carpets with moderate densities.